Zebra and Motorola have announced that they have entered into a definitive agreement in which Zebra will acquire Motorola’s Enterprise business for $3.45 billion in an all-cash transaction. The acquisition will be funded through a combination of cash on hand and new debt. The transaction, which was approved by the Boards of Directors of both companies, is subject to customary closing conditions including regulatory approvals. The transaction is expected to be completed by the end of 2014. With 2013 pro-forma sales of approximately $2.5 billion (excluding sales of its iDEN products), Motorola’s Enterprise business is an industry leader in mobile computing and advanced data capture communications technologies and services. Through this transaction, Zebra will enter the segment where Motorola’s Enterprise business competes and strengthen its position in key industries including Retail, Transportation & Logistics, and Manufacturing and serve approximately 95 percent of the Fortune 500. Zebra CardStudio 1.25 is an easy-to-use card design and card issuance software suite that empowers customers to create simple or complex designs. Version 1.25 supports the recently released ZXP Series 7 UHF RFID encoder option. Current CardStudio customers can download and update their installation with Version 1.25 at no additional cost. 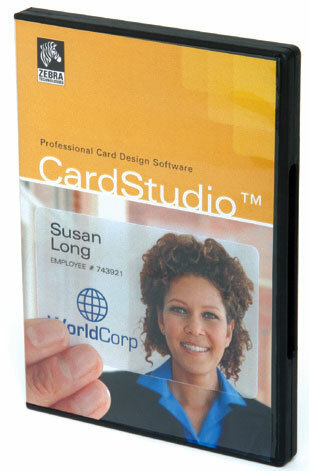 Extend your card design capabilities with Zebra’s CardStudio card printer software. This simple-to-learn, yet feature-rich software makes loyalty card, gift card, and ID card design easy. Zebra’s fast and reliable ZXP Series 7 card printer now offers 10 industry-leading enhancements and upgrades to provide customers with even more options to meet their card printing needs. Known for its photo-quality card printing in medium- to high-volume applications, the ZXP Series 7 card printer provides maximum performance at an exceptional value. Customers can easily and conveniently upgrade their existing ZXP Series 7 printers to benefit from new options designed to enhance print quality and card protection, provide additional security, reduce waste and minimize downtime. Zebra has been recognized as a Best Channel Vendor by Business Solutions Magazine for a sixth consecutive year. The company was named a winner in the Business Solutions Magazine technology category. Each year, Business Solutions conducts an extensive reader survey, asking its value-added reseller (VAR) subscribers to evaluate and rate their vendor partners. Through their cast votes, Zebra’s resellers reported a high level of satisfaction with the company’s products. The global printing solution provider was recognized for earning high scores in the product features and product reliability categories. Barcode label printers come in variety of sizes and types depending on how fast and much they can print. Normally they get grouped into 3 main categories: desktop, tabletop, and heavy industrial. Outside of the obvious size difference between them, their overall print duty cycle varies quite a bit as well. The main concern when choosing the right size printer for your needs is considering the long term print volume you will be dealing with. Any printer can keep printing all day but the main issue will be how often you will have to reload media and replace common parts like your printhead and platen roller. This infographic looks at Zebra’s most popular printers in each category and provides a breakdown of when and where they are best suited to be used. For more assistance finding the right Zebra printer for your specific needs, contact us at BarcodesInc. The new ZD500R extends Zebra‘s broad range of RFID printers by adding UHF RFID printing and encoding to Zebra’s line of industry-leading compact thermal desktop printers. Designed for applications where space is at a premium, the ZD500R offers simple, one-touch printing and encoding, straightforward loading, and automatic RFID calibration, making it ideal for applications where technical support staff is limited, such as retail in-store exception tagging. Mobility has become one of the key concerns for many businesses to improve existing processes and open up new possibilities within their business. In many applications, a printed receipt, proof of delivery or even label needs to be created on the go. 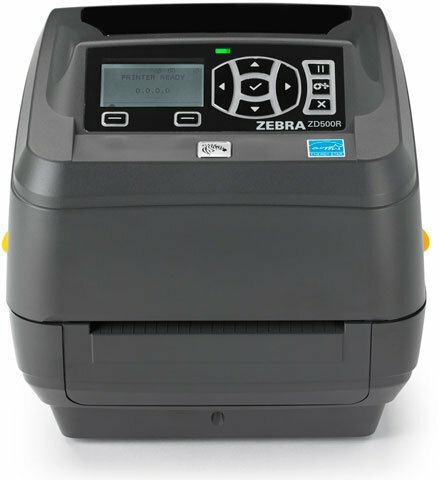 Leading the way with a variety of mobile printers, Zebra offers printers for any printing application need. In this infographic you’ll find several common mobile applications that require some type of on-demand printing and the perfect Zebra solution to match. Whether you are printing from a tablet, smartphone, or rugged mobile computer, Zebra has portable printer to meet your needs. Zebra CardStudio 1.2 is an easy-to-use card design and card issuance software suite that empowers customers to create simple or complex designs. Release 1.2 now has new multi-user network license key editions available! These new software key-based network licensing editions allow for 5, 10 and 20 concurrent network users at an affordable price. Current CardStudio customers can download and update their installation with Release 1.2 at no additional cost. For assistance designing the perfect card for your needs, contact us at BarcodesInc. Gaining the all the benefits of RFID normally involves turning your standard printed label into a RFID enabled one. Most RFID labeling solutions still utilize barcodes and other printed details on the front of the label for redundancy in case a tag were to get damaged, so finding a reliable RFID printer also means choosing a good barcode printer at the same time. With the ever expanding options for RFID printers it can be a challenge finding one that suits your application without costing a fortune. Lucky for us, one of the leading manufacturers of barcode printers, Zebra, also makes a full line of RFID printers of the same high caliber. Whether you need a high volume industrial solution, a mobile in-the-field option, or a basic low-volume economical solution, Zebra has an RFID printer to fit any need. This infographic is a great primer into the Zebra line and you can always contact us at BarcodesInc with any questions or need for assistance in choosing the right unit for your business.